More than 225 runners and walkers participated in the sixth R2R (Run to Remember) annual 5K Race hosted by the Grace Brethren Church in West Kittanning, Pa. 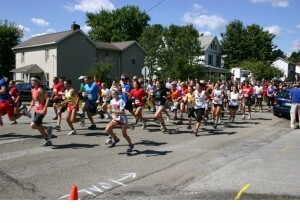 It is a yearly race held on the Sunday nearest to the 9/11 anniversary. Team RWB (Red, White & Blue) ran eight miles prior to the race marking the 11th anniversary of the attack on our nation. Team RWB helps returning veterans reintegrate into civilian life. The Kittanning church hosts this community event and provides complimentary hotdogs, soft-serve ice cream and drinks after the race as the awards are presented. The event is one of many community events the church sponsors each year. See more photos of R2R here.